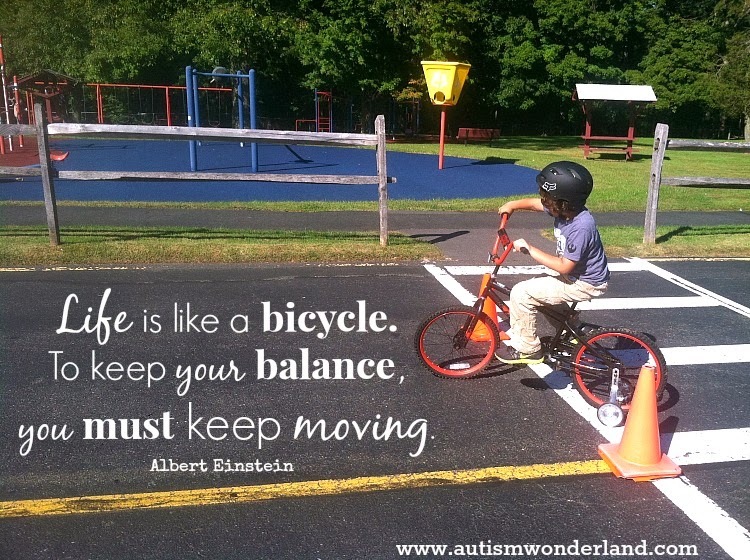 Three years ago, I started AutismWonderland as a class assignment. Before I knew blogging was a real thing. I didn't know about SEO, HTML or Hashtags. I thought Twitter was pointless. And it was way before my first Pin or Instagram. I started AutismWonderland on a whim. I thought it would be the thing to get me an easy A. And it did. But when the class was over, I realized I wanted to keep going. And my life has changed because of it. I truly felt like Alice and I had fallen down this rabbit hole, desperately trying to claw my way out. Last September I was interviewed for NY Metro Parents. And I was asked if I still felt like Alice. The question caught me off guard. It forced me to think about our life and my blog. And I've been contemplating them both ever since. Blogging has helped me cope with my depression and the loneliness I felt after Norrin's diagnosis. Writing about my miscarriage helped me heal. I've met people on line who have inspired me. 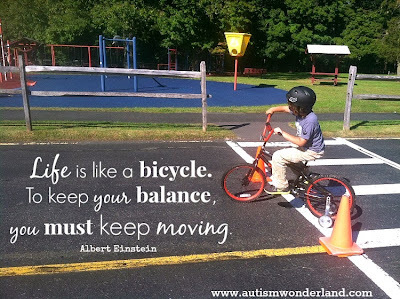 I built an online community who guided me through the maze of special education. And I am extremely grateful for the love, strength and support blogging and this community has given me. But I don't feel like Alice anymore. I am quite comfortable in our world. And I don't consider it to be separate from anyone else's. Different, maybe. But not separate. It's the reason why I've had trouble writing or sharing here lately because I felt like it was forced. As a family, we've settled into our lives. Norrin is in a good place. There's no longer a Dept of Ed threat. (Hope it stays that way.) He has made astounding progress. He's getting everything he needs. And that is the only thing that matters. Both parents are committed...The family strength is their concern and caring nature. Their weakness is that they do not, as yet, understand the nature of Norrin's developmental delays. I won't lie. Autism is a big part of our life. But our lives go beyond autism. Does that make sense? And so...it is time to move on. My new blog is called Atypical Familia. I hope you follow our family journey there. I have a big announcement to make in the coming weeks! It's been a long time coming and I can't wait to share. 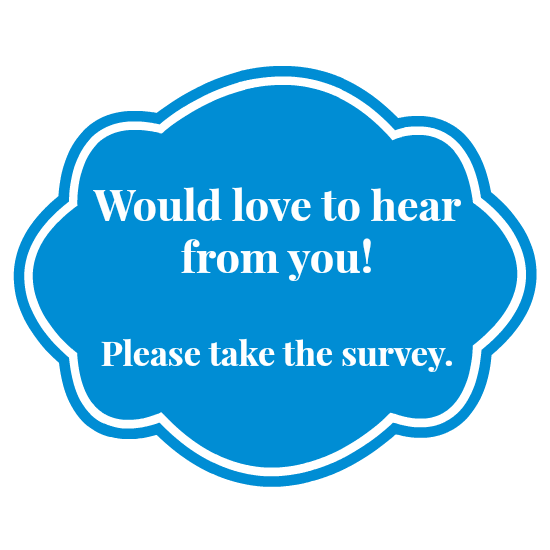 But before I do, I'd love to hear from you! I created this super quick survey - only 7 questions. Thank you so much! 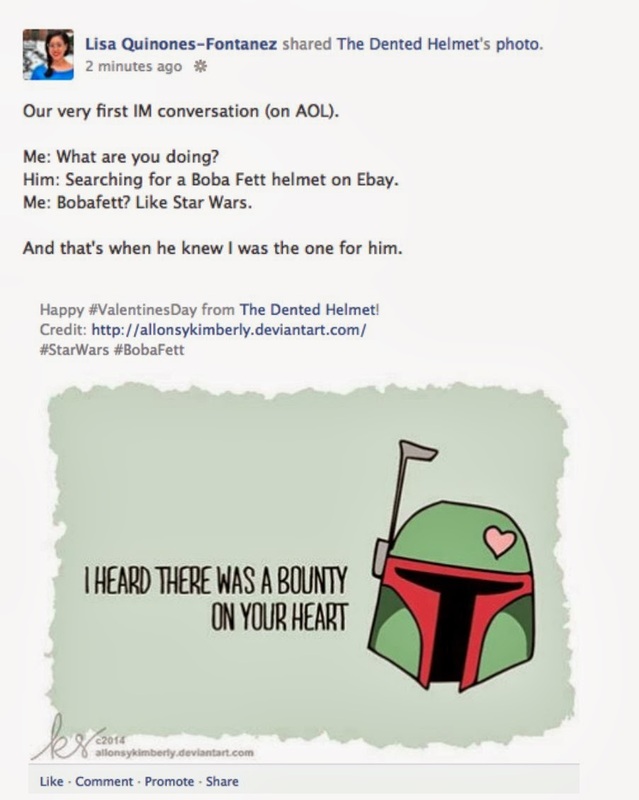 It's another Valentine's Day and it's a day of loved and mixed emotions. At least for me. It's a day to remember loved ones...especially the ones that are no longer with us. Last week I was invited to the 1st ever Club Penguin Safety Summit. Club Penguin is the #1 Virtual World for Kids. Chris Heatherly, VP of Club Penguin, described the virtual world as "the largest playground for kids." With over 200 million penguins, in 90 countries and 6 languages, Club Penguin is the first "social media experience" for kids. Not only is Club Penguin a fun place for kids, it's dedicated to keeping them safe. 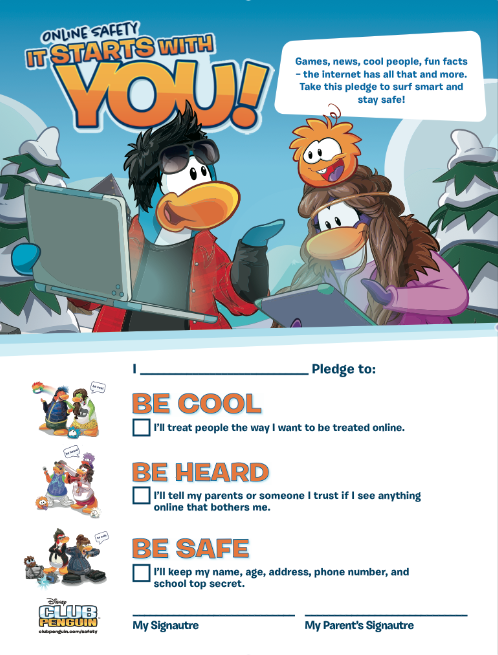 Club Penguin goes through great lengths to keep the space bully free for kids. With over 200 moderators (in 4 locations and 6 languages) and specialized technology filters, Club Penguin has multiple layers of safety features. At the Safety Summit, I learned how rude and inappropriate language is banned. And I was impressed by the complexity of the filters. For example, a player can say "I'm going to the beach" but cannot say "You're such a beach." Players can chat, however, they are unable to share personal information such as email or phone numbers. The moderators also know to look for signs of online predators within the space. As parents we worry about our kids. We want to keep them safe on the playground and online. 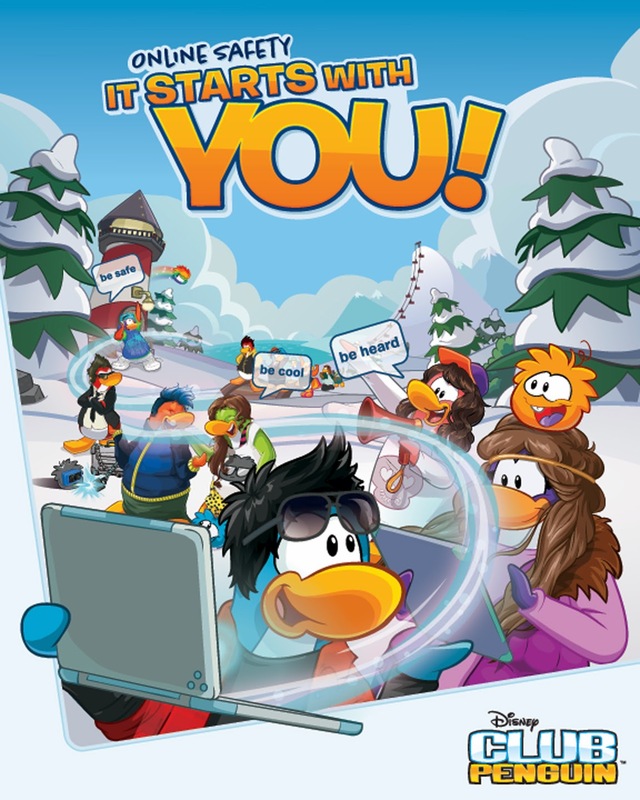 In another effort to continue and promote online safety, Club Penguin has launched the "It Starts With You" campaign. Today is Safer Internet Day, the purpose is to "to promote safer and more responsible use of online technology and mobile phones, especially amongst children and young people across the world." Raising a child with autism, bullying is a matter that concerns me. Kids with autism are easy targets and more likely to be bullied. However in recent years, bullying is not only a school yard/playground threat, "cyberbullying has become one of the most prevalent types of bullying that occurs between teens. About 80 percent of all high school students have encountered being bullied in some fashion online." I've written about the benefits of video games and kids with special needs. I have seen how it's helped my son. And I'm all for using technology to teach social skills. One day, my son may want to engage in social media. I want him to have the freedom to do so but I want to make sure he is safe. And it's reassuring to know that within Club Penguin, he will be. Disclaimer: I was invited to the Club Penguin Safety Summit. No monetary compensation was received, all opinions are my own. Last month I was excited to kick off 2014 with a little box of goodies from The Motherhood and information on how you can save on Johnson & Johnson Healthy Essentials. And I'm happy to say that the savings on Healthy Essentials are continuing through February. 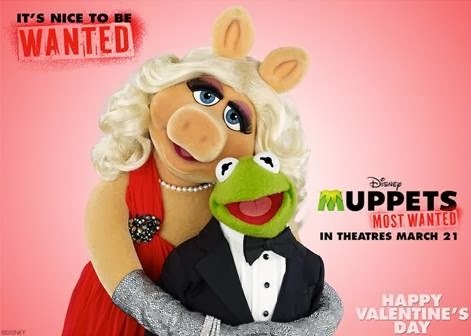 Right in time for Valentine's Day! This year Valentine's falls on a Friday. Being special needs parents, child care is limited and date nights are rare. We don't really go crazy celebrating. But I try to do a little something to sweeten the day. Since we both work on Friday and I don't typically make breakfast, I thought I'd treat The Husband with a heartwarming breakfast treat to enjoy with his coffee. 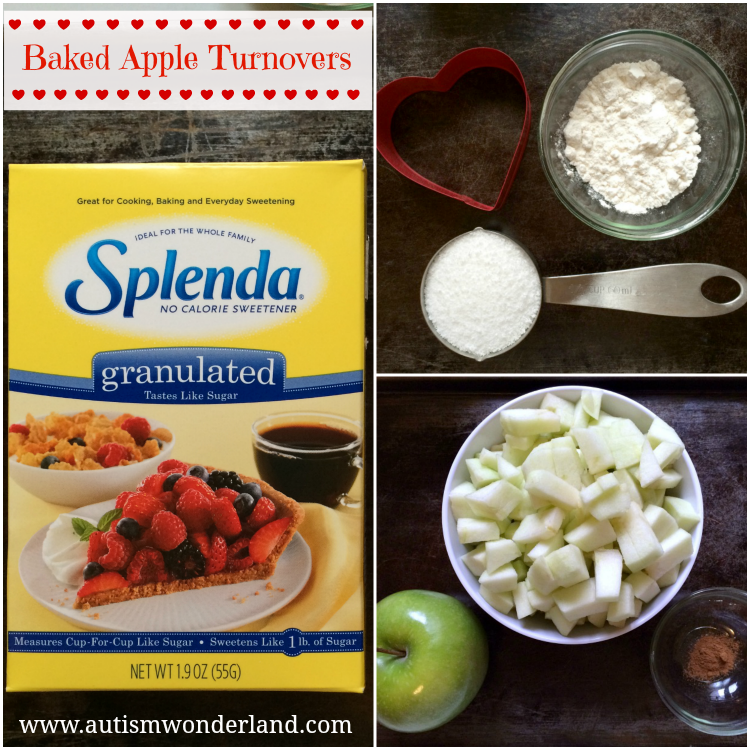 When I found this recipe for Baked Apple Turnovers made with Splenda, I knew it would be perfect. Splenda is a No Calorie Sweetener and can be used almost anywhere sugar is used, including cooking and baking. It measures cup-for-cup like sugar, but contains 678 calories less than sugar on a cup-for-cup basis. One teaspoon of Splenda contains the sweetness equivalency of one teaspoon of sugar with no calories or carbohydrates. Now I'm not much of a baker and my cooking skills are just okay. But I found this recipe easy and quick. And I had all the ingredients in my kitchen (with the exception of the refrigerated pie crust). Since it's Valentine's, I thought it would be fun to use heart shaped cookie cutters. Don't they look great? I'm feeling pretty proud of myself considering this was my first time making these. 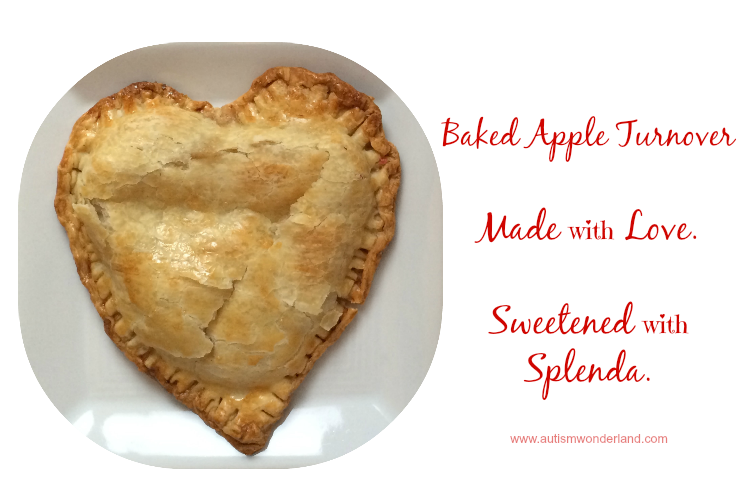 Baked Apple Turnovers not your thing, how about delicious Raspberry Heart Cookies (made with Splenda) that taste as good as they look? You can check out the recipe HERE. You can get significant savings by visiting the HEALTHY ESSENTIALS website in February and signing up for extra-sweet HEALTHY ESSENTIALS® coupons and offers. As you prepare for a special Valentine’s Day, these HEALTHY ESSENTIALS® products and tips can help you be healthy and happy for the ones you love. Get a printable coupon for $1 off any SPLENDA® No Calorie Sweetener product at at HealthyEssentials.com. To sweeten the savings, you could get a free 30 minute nutrition consultation with a Registered Dietitian when you buy $10 of SPLENDA® Sweetener Products between now and February 17, 2014 – up to $75 value! More details on this special offer at HealthyEssentials.com. Disclaimer: I was provided with passes to The LEGO Movie screening. All opinions are my own. When we first saw the preview for The LEGO Movie, The Boy said "I want to see that in the movie theater." Which was a really big deal for because we really go to the movies, and The Boy rarely expresses what he wants to see in theaters. Going to the movies used to be a huge challenge for us. Over this last year, The Boy has gotten better and we've learned how to prepare. We are HUGE LEGO fans. And it was so cool to see our favorite Lego characters (and new ones) and scenes come to life. Fun and action packed, The LEGO Movie is a perfect family film as it appeals to kids and adults. What The Husband Loved: The Husband is a fan of Ray Harry Hausen and Rankin and Bass, The LEGO Movie was nostalgic of the Stop Motion features he grew up watching. 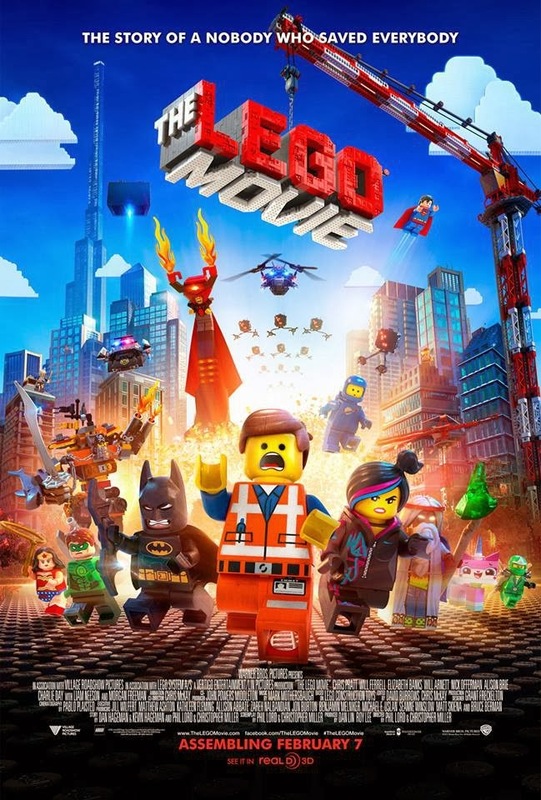 What I Loved: The LEGO Movie goes beyond being a fun film, it's a movie with a message and for me that was the real appeal. It also surprised me. There was a twist toward the end that I never saw coming which just made the movie all the more special. Whether you're a lover of LEGO or not, The LEGO movie will dare you to live your life more creatively. The LEGO Movie opens in theaters on February 7th. With The Boy waiting for The LEGO Movie to begin! This morning, I quickly scrolled through my FB feed and saw a link to The Most Awkward Dance Moments of The 2014 Grammy Awards. I didn't watch the Grammy's so I was interested in seeing some of the write ups. And Tyler Gildin's article was pretty hilarious. Then I saw the caption: Autistic Bear Bounce. And I stopped laughing. Because the singer's (I'm old and have no idea who the woman is) dance movements looked like The Boy's stim - eyes half closed, arms moving up and down stiffly. And it pained me. The Boy cannot help his stim. He does it when he's excited or frustrated or scared. And lately, The Boy's been interested in dancing. He's always talking about having a "dance party." His dancing, is usually just jumping up and down or moving stiffly from side to side. Dancing doesn't come naturally to him. It's only in the last year that he's acquired the motor planning to dress himself. I took the joke of "Autistic Bear Bounce"personally. I couldn't just let it go. So I left a comment. And then I sent Tyler Gildin a tweet. And you know what happened? He not only changed the caption but he apologized. @LaliQuin @EliteDaily apologize. We changed it immediately. Did not mean to offend. Truthfully sorry. Tyler Gildin could have been a jerk (ahem, DL Hughley). Gildin could have easily turned against me on Twitter and made me a target of his ridicule. And he didn't have to change his article. But he did. And I appreciate it. Someone replied to my comment, saying I should "chill out." But I just can't chill when it comes to autism or any other special need being the punchline to a joke. It's not okay to make fun of autism. Ever. I have written about use of the 'r-word' and I worry that autism will soon replace it as a derogatory term. I don't want to be the word police. But people must be held accountable. People need to understand why their words matter. I hope Gildin understands the power and impact of his words. And I hope that he'll think before using autism as the punchline. When I think of how hard The Boy has worked to do all the things that come so easily for other kids like point his finger, wave, jump or speak. I am so proud and I cherish every one of those milestones (they are often the things that keep me going). It’s incredibly painful when people use autism as a term of ridicule. The Boy is growing up. One day, he may like a girl or want to play basketball with the neighborhood kids or apply for a job. I don't want to think about him being left out or made fun of because he's different. All I want is for him to be given a chance and to be understood. I'm just one mom. I can't change the world. But today, I changed one person's mind. And it's a small victory. Last night I made the mistake of staying up late to watch a movie and went to bed after midnight. By 3am, I was woken up by The Boy. I heard the pitter patter of his flat feet hitting the parquet floors and a door slam. I jumped out of bed and into The Boy's room and saw his blanket was missing. I felt his sheet. It was wet. We started nighttime potty training. "Where's your blanket?" I asked The Boy. "I put it in the laundry," The Boy replied. He actually put the blanket in the dryer. And he never went back to sleep. Which meant, I never went back to sleep. I checked my bank account and saw $30 spent on Apple iTunes. The Boy figured out the passcode and ordered $30 in Apps. YAY! for typical age appropriate sneaky kid behavior. BOO! for $30 in Apps that he'll probably serve no purpose. The Boy turned eight years old last Sunday. Eight! That's two years away from ten. And five years from being a teen… Okay, I'll stop now. Like most moms, I reflect and wonder where the time went. I wish I could will time to stand still. And I think about his future. Thinking about his future usually keeps me up at night. The Boy's birthday is celebrated but it brings about such complex emotions. And last Friday night I was given a makeover. I don't get gussied up often, but when I do I need a team to make it happen. More details on that next week. Disclaimer: I was provided with a complimentary copy of Seven Steps to Nighttime Dryness and a Dry-Me Enuresis Alarm for review purposes. The opinions expressed are my own and have not been influenced in any way. The Boy will be eight years old tomorrow and he still wears a pull up at night. It took us a few years for him to be fully potty trained during the day. I've been holding off night time potty training. When I was approached by Renee Mercer, MSN, CPNP, the author of Seven Steps to Nighttime Dryness to review a copy of her book and to try the Dry Me Enuresis Alarm - I immediately said yes. I just finished reading through the book and I think I'm really ready to start. Commitment and consistency are critical during daytime potty training and even more so for nighttime. What I like about the Seven Steps to Nighttime Dryness is that it helps explain bedwetting and possible factors (including constipation). The book also breaks down the different alarms so that you may pick the one that's best for your child. 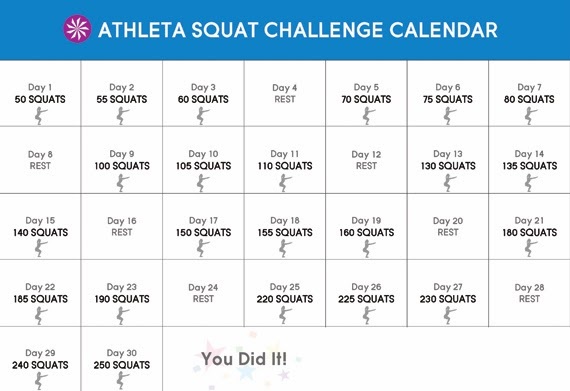 There's also a weekly progress chart to help keep track. While the "7 Steps" is written for "typical" kids, Mercer has a section that goes "Beyond Seven Steps" which addresses special cases including kids with special needs. Mercer assures that if a child has maintained dryness during the day that nighttime dryness is a strong possibility. She goes on to say that: If you have a child with special needs, it is important to understand your goal. And then proceeds to explain various options. My goal is to get The Boy to wake up to use the bathroom during the night. And the Seven Steps to Nighttime Dryness has given me the tools and motivation to start the process. In the next few weeks, I'll share how we're preparing and our progress with the Dry-Me alarm. Disclaimer: I was provided with a complimentary copy of 7 Steps to Nighttime Dryness and a Dry-Me Enuresis Alarm for review purposes. The opinions expressed are my own and have not been influenced in any way. The May I found out I was pregnant for the second time, I was happy. It was the right time. We were ready. The due date was January 20th - The Boy's birthday. 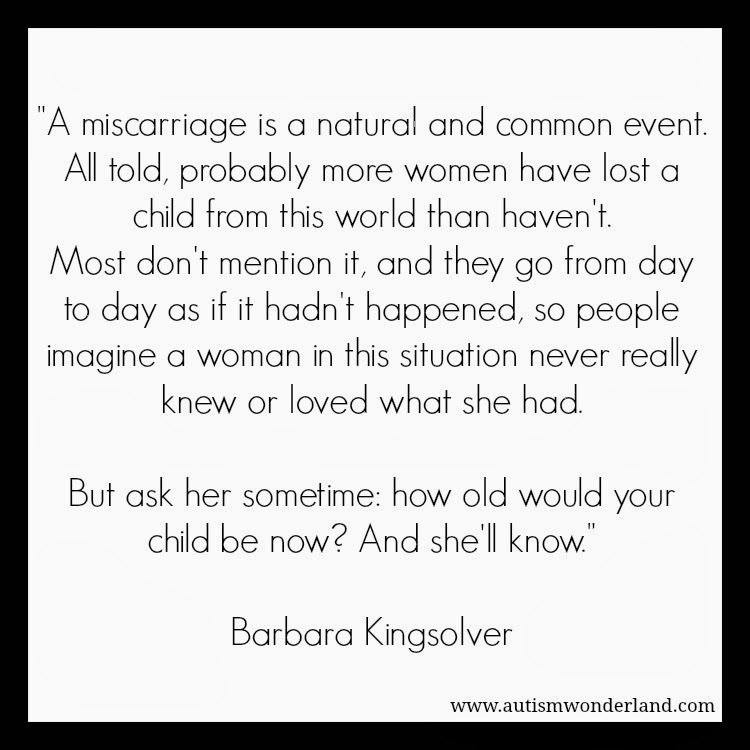 That August - in my 16th week - I had a missed miscarriage. I don't even know if you were a boy or a girl. In my mind, I imagine you as a girl. A little girl with bobbed curls, dimpled cheeks and bright eyes. You are the little sister, Norrin asks for. I would have named you Leia. You would have been three years old. There is not a day that passes that I do not think of you. But the days in August and January are the ones that make my heart ache the most. August is when I lost you and I mourn for my loss. And January, I mourn for you and all the things you could have been. As I shop and prepare for Norrin's 8th birthday. I think of you. And I have to stop to catch my breath and blink my tears away. I think about how fun three can be. And what party theme you would have wanted. I think about how unfair my grief is to Norrin. It's hard to celebrate another year of life, when I am reminded of loss. When he sees me crying, he sits besides me and asks if I've been watching a sad movie. And I envy his innocence. He is unaware I am crying for you. On the 20th, I hold my tears in. It is Norrin's day and I celebrate him. When we light his candles, I think about all the progress he's made over the course of the year. And when he blows out the candles, I make a wish for Norrin and say a prayer for you. While I was pregnant, people asked me if I was scared of having another child with autism. But this week as I think of you at three years old. I don't think of autism or special education or more therapists in our home. All I think about is how much joy you would have brought us. I think about how I would have loved tucking you in and reading you bedtime stories. I think about what an awesome big brother Norrin would have made. I think about how wonderful it would have been for Norrin to have a sibling, to have someone else in this world, someone he could depend on after I am gone. I think about all the memories and milestones we have been denied. I think how much I would have loved to hold you, even if just once.